Unfinished business. The itch it couldn't scratch. Call it what you will, it applied to America for much of F1's history. The world's largest economy, sports mad and likely unparalleled in its attachment to the automobile; add that F1 purports to have a world championship. Yet somehow for years it didn't amount to pitching a tent Stateside that wouldn't fall down upon contact with the slightest gust of wind. Demonstrating as much there have been no fewer than ten US F1 hosts (no other country gets close). Contrary to some presumptions F1 did previously get it right in the States, with well-established and popular rounds at Watkins Glen and Long Beach. Both were lost in the early 1980s. Of the other attempts, some of them have been cringe-worthy; for stretches there was no US round at all. In advance of the latest go in Austin a few expected more of the same. Yet when everyone arrived for the first time in 2012 the doom-mongers simply could not have been more wrong. Not only did the Circuit of the Americas facility gleam. Not only too were the crowds large. The warmth of the welcome stunned, with most struggling to recall a host anywhere anytime that had so embraced an F1 event. Even Adelaide possibly was pipped. F1, at last, had got it right again in the States. 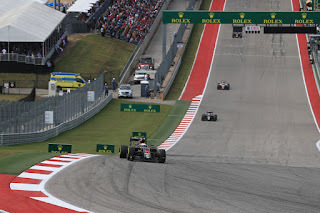 Hermann Tilke tracks tend to have family resemblances and at COTA they are clearer than most. The uphill start-finish straight ending with a tight turn is lifted from the Red Bull Ring; the esses section from Silverstone; the lengthy multi-apex turn towards the end of the lap from Istanbul Park's turn 8; a few of the other late lap bends are akin to Hockenheim's stadium section. And the bit-of-everything quality is underlined by that, as James Allen has pointed out, the track has more corners at over 250km/h than Spa and more below 100km/h than the Hungaroring. 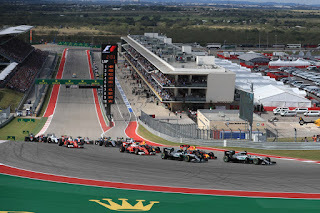 Appropriately given the history outlined, we head to Austin this time with the championship battle feeling like long drawn out business that now just needs to be finished off. After recent results Lewis Hamilton's fourth title is a matter of when not whether, and he could even finalise it this weekend. The required scenario - Lewis winning and Seb finishing lower than fifth (or Lewis second with Seb ninth or lower) - likely needs more Ferrari unreliability. As for Lewis keeping up his side of the bargain, that feels a close call too. The biggest reason to think he could is Lewis himself. 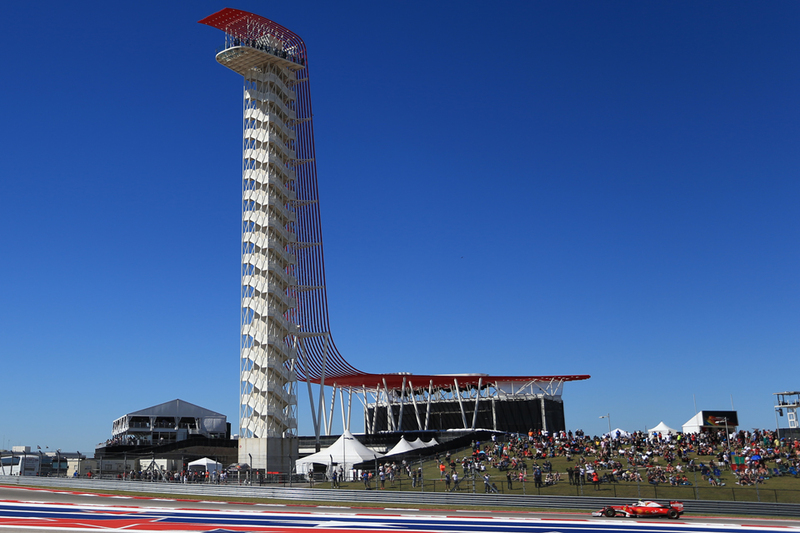 He's won four of F1's five Austin races. He tends to beam throughout a US weekend, a country where of course he spends a lot of his time. He's also been in superb form since the summer break. Turning to whether the Mercedes 'diva' will be happy at this track, the first two thirds of the lap - with its long straights and Silverstone-inspired sweeps - is just her thing. However the last part has a few lingering mid-speed turns that the Merc has struggled on this year. Can Ferrari rediscover reliability to go with its speed? Temperatures will likely be warm rather than the off-the-chart level that's given the silver car problems, but even so the ambient can vary sharply in Austin weekends and tyre warm up can be tricky. Not good news for the silver team which on occasion has struggled in this area this season. The bit of everything track will suit the good at everything Ferrari meanwhile, and even with its reliability of woes of late when the car has been going it's been quick; often the quickest. Still the air now is heavy of talk of Ferrari backstage ructions (the time-honoured stuff) and it remains to be seen if that impacts where it matters. How quickly things can unravel - it was less than a month ago when the cars lined up on Singapore's grid that we thought Sebastian Vettel re-taking the drivers' table lead was inevitable. Red Bull could irritate both Merc and Ferrari. It's been right in the mix lately - a win and a close second in the last two - while the wide variety of corners is good news for the RB13. 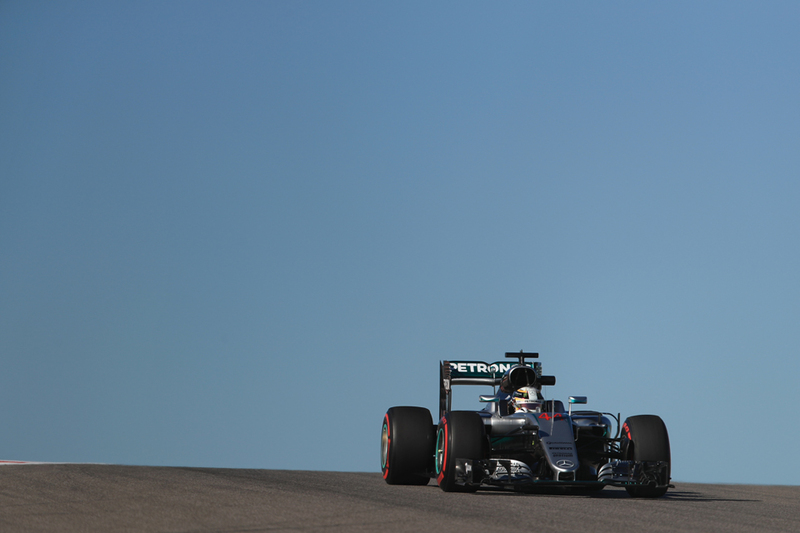 Fate has denied us a proper three-team battle at the front in recent rounds but in Austin we may have it at last. Force India often is the best of the rest and last year indeed those with Merc power were next up on pace, with Nico Hulkenberg starting seventh for Force India just ahead of the Williams pair. Much though will look new further down the order this weekend, with Carlos Sainz making his Renault debut and Toro Rosso changing both of its Suzuka pilots, with Daniil Kvyat returning and Brendon Hartley a surprise debutant (it's the first F1 team to make a wholesale line up change between rounds since Lotus at Jerez in 1994). Sainz has finished sixth in Austin for Toro Rosso on either of the last two visits (though was demoted to seventh in 2015 by a post-race penalty); Renault was oddly off it in Japan however. Fernando Alonso also showed up well last year and bagged fifth. One-stop strategies have become the norm this season and that remained the case for most last time out at Suzuka, which is notoriously tough on tyres. Austin will likely be similar, though the compound selection is more aggressive than ever for this track. 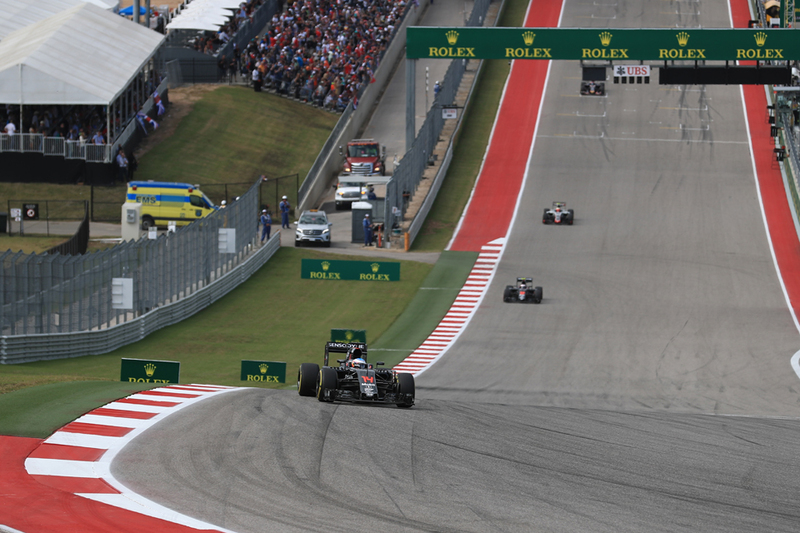 The ultrasoft will be used at Austin for the first time and drivers have piled high on them. It's quite a shift - in the early visits the medium and hard were the only available. These softer compounds mean that Austin race strategy may be rather on the hoof depending on the degradation. As at Suzuka too the undercut is powerful here on the long lap and proactive approaches often are rewarded. Unlike at Suzuka overtaking here is at least possible, with its 1km straight, which will encourage teams to be aggresive. Another challenge here is that in its Autumn slot temperatures can vary quite wildly as noted and while the sun usually is warm, when it goes away - either behind clouds or overnight - the track gets cold quickly and tyre behaviour and warm up can become knife-edge. Long-range forecasts at the time of writing suggest rain - which has hit the event before, notoriously in 2015 - will stay away this time though. 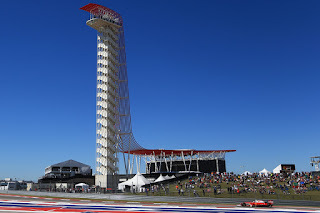 And the weather, as outlined, is far from the only thing that is warm about F1's Austin visit. 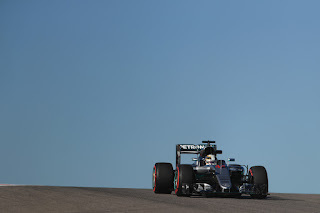 Mexican GP Betting Preview - Silver struggle?